Two years ago the couple started looking at how they might go about it. 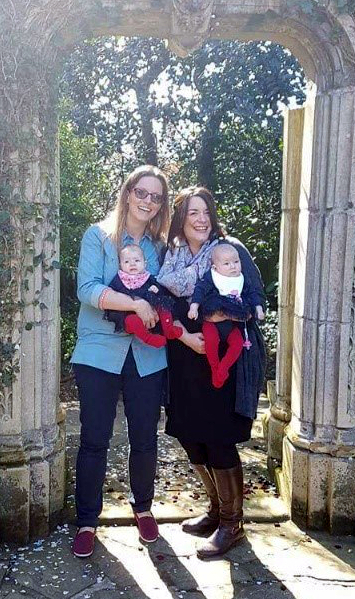 As Emily is six years younger than Debbie they decided that it should be Emily who underwent the fertility treatment. “We thought that as I was younger it would increase our chances if I tried first,” she says. Emily and Debbie had sourced their own sperm from a company in Denmark and still had one frozen vial left in storage with the London clinic. “The Danish company we bought the sperm from adheres to UK standards and laws but the big difference between getting sperm from Denmark and from a UK clinic was that we were allowed to see early childhood photographs of the sperm donor and hear his voice so we felt as though we got to know him as a person a bit more. Being able to see baby pictures of potential donors really helped us to find someone with similar features to Debbie,” says Emily. The couple decided that they would go with the last vial of sperm to Bourn Hall Clinic and discovered that it has a satellite clinic in Peterborough. Emily and Debbie live in Lincolnshire but both work in Peterborough, so they found this really convenient. 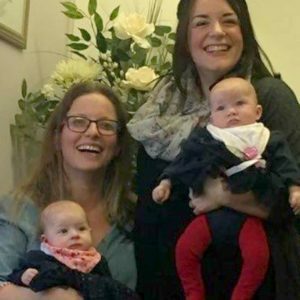 Emily and Debbie had virtually all of their appointments and scans at Bourn Hall’s Peterborough clinic, with only the egg collection and embryo transfer taking place at Bourn Hall’s Cambridge clinic. The frozen sperm was transferred from their previous clinic to Bourn Hall for storage in its sperm bank. Bourn Hall was one of the first UK clinics to have its own sperm bank and can offer free IVF treatment for those who meet the criteria for sperm or egg donation. “I produced a lot of eggs,” says 30-year old Emily. Her eggs were fertilised with the donor sperm using a process called ICSI (intra-cytoplasmic sperm injection), which involved directly injecting each egg with a single selected sperm. The embryos were kept in a laboratory incubator for five days. Two embryos were then transferred to Emily and the couple had to wait 14 days before taking a pregnancy test. Emily quickly convinced herself that the IVF treatment hadn’t worked. 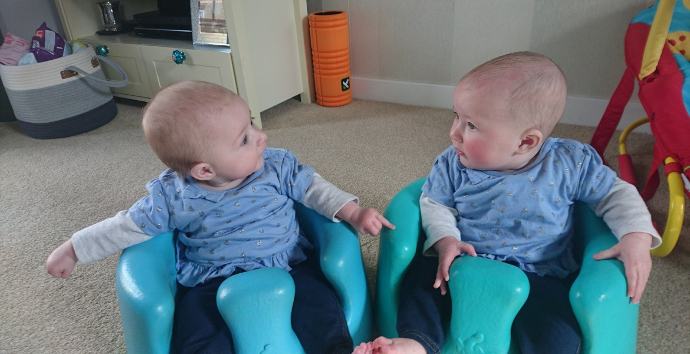 The couple were delighted when the tests confirmed that Emily was indeed pregnant and at their eight week scan were told they were expecting twins. Find out more about using donated sperm here. Click here to find out about free IVF treatment for donors.